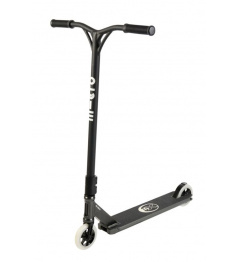 The MGP VX7 Nitro models are primarily designed for slightly advanced riders. 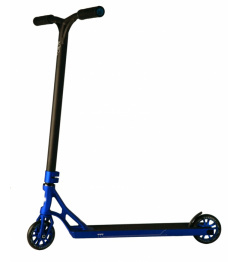 The Scooter has great parameters and, in particular, a perfectly balanced plate, which has one neck in my neck, is for int. headphones , lightened by internal grooving. 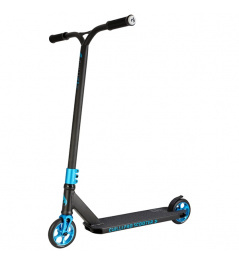 Thanks to the 120 mm wheels, the scooter runs alone. Castors have aluminum centers and ABEC 9 bearings . Handles are for HIC, but the scooter has IHC compr. system. The handlebars are SHIM, which provides great tightening of the handlebars to the fork. 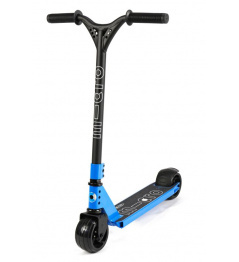 Great for both skatepark and street . Suitable for slightly advanced riders. 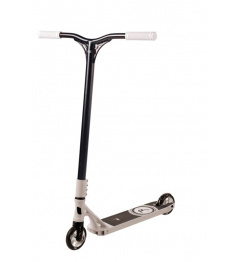 0 Review "MGP VX7 Nitro freestyle scooter silver"